We usually imagine that only professional football clubs can afford to build a five-a-side pitch. Although they are the ones who built them most frequently, individuals can also own them. In fact, if you have a large enough backyard it is more than a suitable location for such a playing field. The overall cost is not cheap, but it is neither too expensive to remain only a dream. When you think about the whole project, there really isn’t that much to it. The surface, the goals, and the fencing are the most important things. 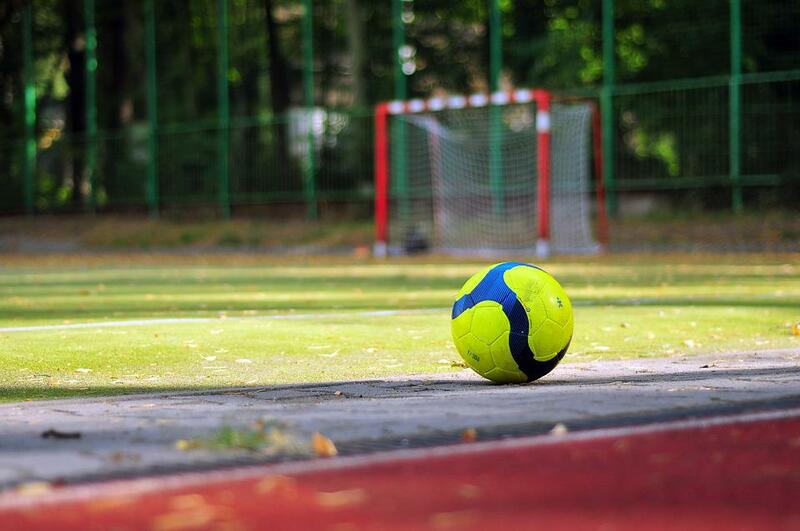 Once you have these, and of course, the ball, you have yourself a game of football. Wherever you decide to build a five-a-side, it is bound to become the local sporting hotspot that will attract players and audience alike. So how exactly does building a pitch like this looks like and what should you pay special attention to? Ideally, you should have a large enough yard to build a pitch like this. In terms of size, if you can fit a tennis court into the desired location, then it will do for a five-a-side pitch. If your yard is too small, then you can rent out communal ground or ask the local authorities to help you since the pitch will be open to the public. The bare minimum is 25 meters in length and some 17 meters in width, with the run-off of 2 meters on each side. The ground should be as flat as possible, without any trees nearby so as not to have bumps from the root system. Ideally, the surface should be natural grass, but due to the enclosed space, it is hard to maintain this kind of grass. It gets worn out really fast and it is next to impossible to renew it. That is why most five-a-side pitches use artificial grass which is much more durable. It too requires regular maintenance which is simpler than in the case of natural grass. When shopping for this grass, let the salespeople know that you are buying it for a sports field, so they can sell you the one that absorbs colour easily. This will be important when you start painting the lines. As an alternative, you can choose a ready-made surface with the lines already drawn out. Well, not so much “drawn,” as pre-made white blades of grass. You may think at first that this is the easiest part to install as football goals are rather simple structures. However, there are several types of goals. First, you have to decide if you want portable of sleeved goals. Since your pitch is not a permanent structure, perhaps portable ones are a better option, just make sure they are locked into position. There shouldn’t be anything protruding from the back of the goals, as their design should reflect a concern for the safety of players, like the ones made by Pila Group. 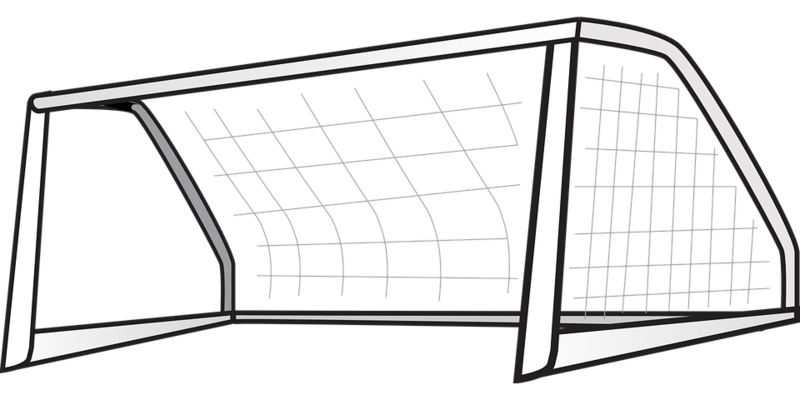 The size of the goals should be roughly 3 by 2 meters and they should be made from a light-weight material like aluminium. For safety reasons, wood and steels goals are out of the question because they are too heavy and they can cause serious injury. Since football is an intensive game in which the ball gets kicked around, excellent fencing around the pitch is a must. The common type of fencing is weld mesh that should be at least 3 meters high. In addition, it should have rebound or kick boards installed at the bottom. They should be set at a height of one meter since they protect the mesh from direct impact from the ball and players’ football boots. In order to maximize the use of the pitch throughout the day, you need to be able to play at dusk and at night as well. This is achieved by installing light columns in all four corners of the pitch. If you wish for the lights to be stronger, it is possible to place six columns in total, three on each side. The minimum lighting level should be 120 lux in order to have high visibility. LED sports lighting is the most efficient lighting there is. It costs less money, LED lights last longer and provide a higher quality of lighting. They turn themselves instantly on and off at a press of a button, not mention the fact that they use almost half energy less than halide lights. Building a five-a-side pitch is not as hard as you might think at first. It is not complex because it doesn’t require a lot of parts, just the ones we listed. That is why the total price is only about 30.000 dollars. If you foot the bill yourself, you can rent the pitch when you are not playing. This way, your five-a-side will not only be a source of fun but of income as well.